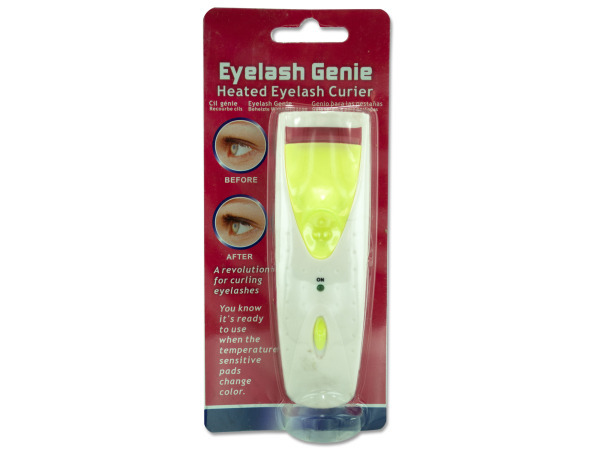 This heated eyelash curler will curl eyelashes without any pinching or pain. 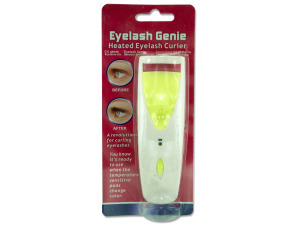 It it easy to create curled eyelashes that are ready for accent with mascara, eyeliner or eyeshadow. Available in yellow, pink and blue.